If you’re looking for a light, lemony bar, with just a hint of raspberry jam then these bars will surely tantalize your taste buds. 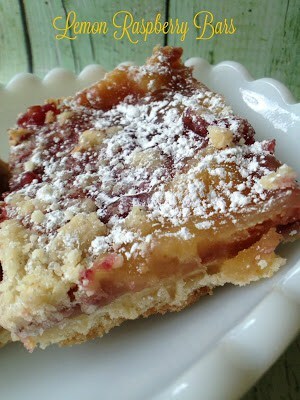 Biting into a Lemon Raspberry Bar is like biting into a piece of springtime. Sunny, bright and a breathe of fresh-air. 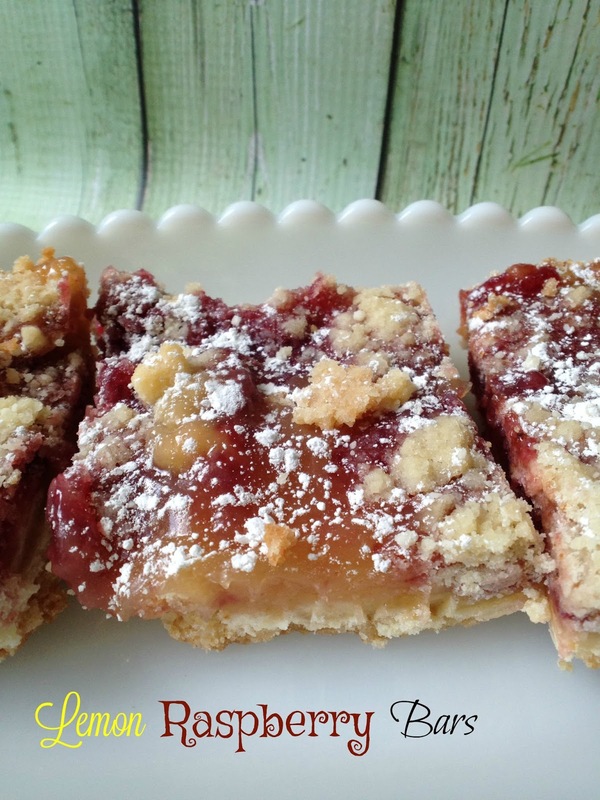 Lemon Raspberry Bars have a shortbread crust, are made with a purchased lemon curd and have a swirl of your favorite seedless raspberry jam. 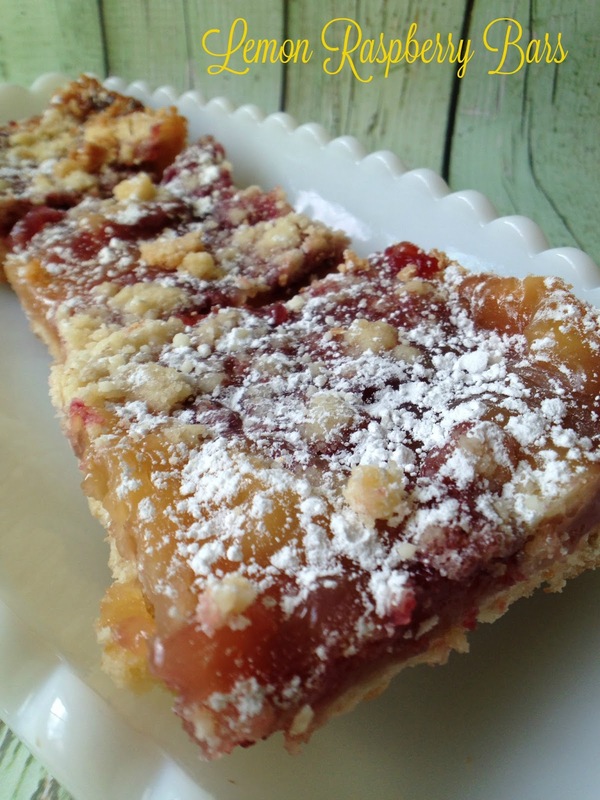 These delicious bars are a cinch to make and they will disappear fast. Everyone seems to have a recipe for classic lemon bars but we took these one step further by using convenient, “always have on hand” products. 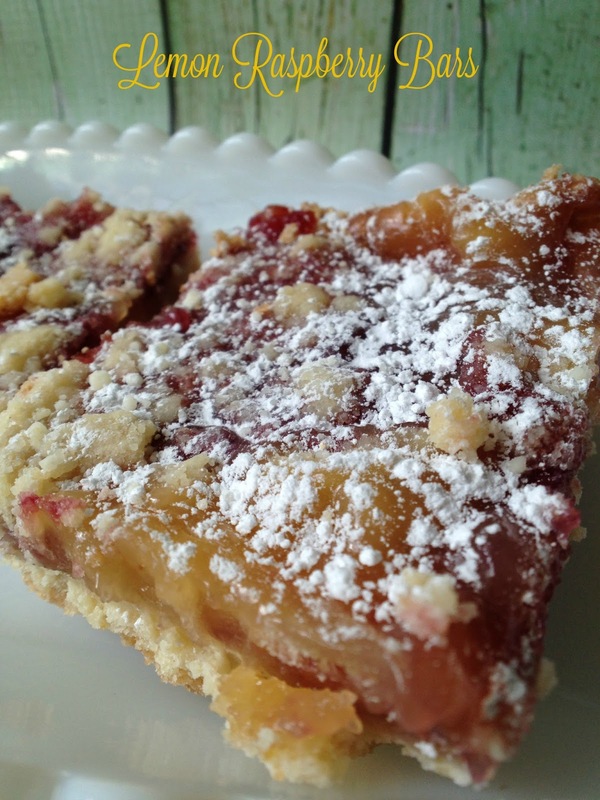 Like with most lemon bars, the shortbread crust is too die for and the lemon filling with a touch of raspberry, perfection. To save time, we used a purchased jarred lemon curd. You can certainly make your own lemon curd and use that in place of the purchased lemon curd. If you have home-made raspberry jam or jelly, you can use that also. If you feel like living dangerously, try orange curd or lime curd and use a complimentary jam/jelly for the swirl. 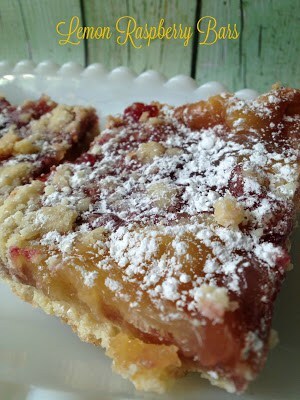 Shortbread crust with a light lemony taste and a hint of raspberry. Lightly spray a 8 x 8 square baking pan with non-stick cooking spray. Beat butter and sugar in a large bowl until creamy. Add flour, baking soda and salt. Mix until mixture forms coarse crumbs. Pat 3/4 of mixture into bottom of prepared pan. Bake 10 minutes. Remove from oven and cool slightly. Spread curd and seedless raspberry jam over baked layer, swirling together. Sprinkle remaining crumb mixture over top. Bake an additional 25 minutes or until browned. Remove from oven and cool slightly.